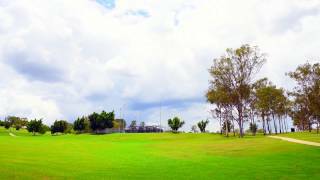 If it's wide, green, open spaces you're looking for in Ipswich, Limestone Park at Eastern Heights, just a few minutes from the Central Business District, has plenty of room for all sorts of outdoor activities. It's proof that you don't have to spend a lot of money to have a great time. Used regularly for team sports events with facilities suitable for soccer, football, cricket, athletics and netball, Limestone Park has picnic tables and barbecues with drinking water, gazebos and other shelters so the whole family can enjoy the pleasant surroundings. Bring along a ball to kick around the large area so the kids can run themselves ragged, and there's also playground equipment for the younger ones. It's not unusual to see local walkers and joggers enjoying Limestone Park, including with strollers and pet dogs joining in on the exercise. There are recreational pathways and strength and agility stations, along with car parking, disabled access and public toilets. You can also hold a sporting event at Bill Paterson Oval by prearrangement with Ipswich Little Athletics.